Flushed with natural light and located on the top floor of the classic landmark Bible House building within the historic Flinders Lane precinct amidst vibrant cafes, Degraves Street, amazing boutique shops and laneways. Beautifully presented and luxuriously appointed this stunning two bedroom apartment (one of eighteen) is spread over two levels capturing masses of natural light through spectacular picture size windows. 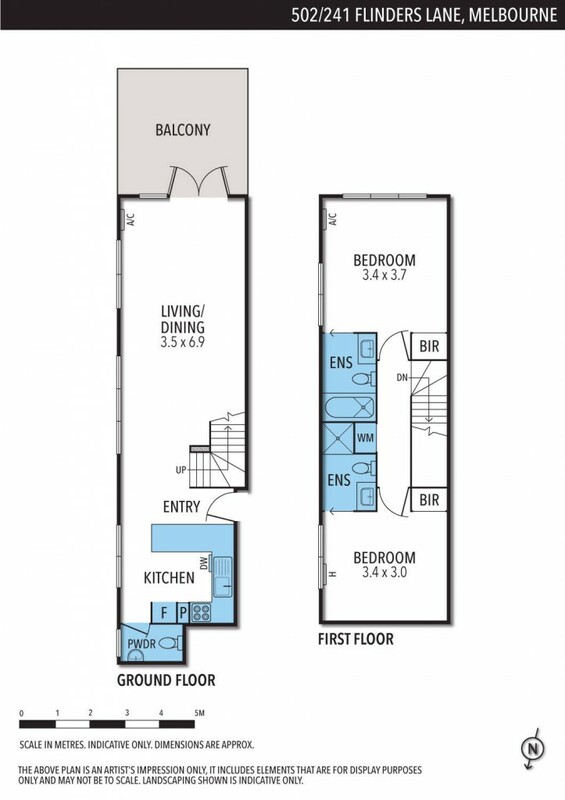 The lower level includes a generous living and dining area opening to a large open terrace ideal for extended family living or entertaining. There is a guests powder room and the kitchen features quality cabinetry, stone bench tops, stainless steel appliances and Smeg dishwasher. The upper level comprises two double bedrooms both with ensuite bathrooms and built in robes. Additional features include Euro style laundry, city views and secure intercom entry from Scott Alley. Enjoy living within this superb city central position with the best of Melbourne's attractions around you including Federation Square, Flinders Street Station, St Pauls, an easy walk through to fabulous Collins Street, Swanston Street, The Arts Precinct and so very much more.